Ajay Thakur scored 14 points for Tamil Thalaivas and made crucial raids for his team. Tamil Thalaivas produced a terrific first half performance to beat Patna Pirates 40-37 in a Pro Kabaddi League Season 5 match on Saturday. Pardeep Narwal scored 20 points for Patna Pirates but his effort went in vain. Ajay Thakur scored 14 points for Tamil Thalaivas and made crucial raids for his team. Tamil Thalaivas made a strong start and led 4-0 after two minutes. Thalaivas defence kept Pardeep Narwal quiet for the first few minutes of the match. Monu Goyat scored a raid point in the third minute to open Patna Pirates' account. Ajay Thakur scored a raid point in the fourth minute to give Tamil Thalaivas 6-1 lead. Thalaivas inflicted an all-out in the fifth minute to lead 9-2. Pardeep Narwal scored with a raid in the seventh minute as Patna Pirates trailed 4-12. 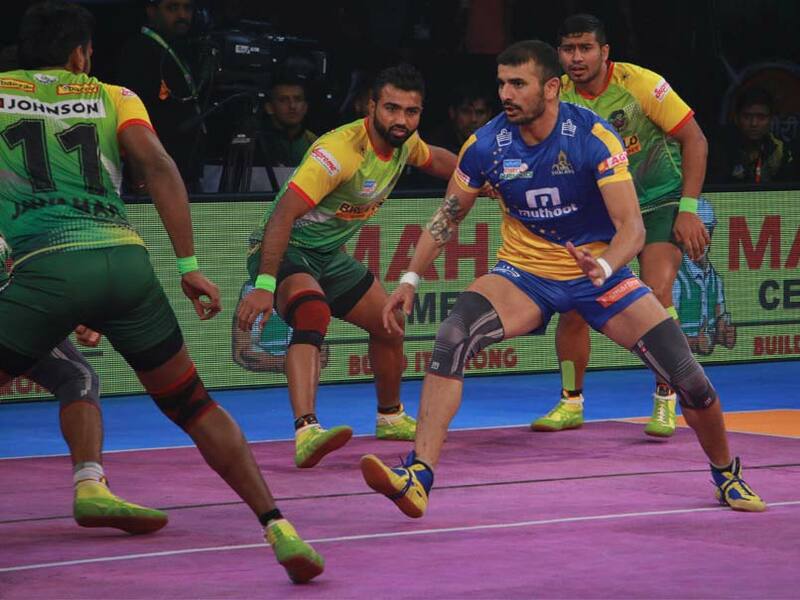 Ajay Thakur scored two points with a raid to give Tamil Thalaivas 18-6 in the 10th minute. Tamil Thalaivas inflicted another all-out in the 15th minute to lead 25-11. Tamil Thalaivas went into the break leading 29-12. Patna Pirates began the second half strongly as they scored five points in the first four minutes of the second half to trail 17-29. Pardeep Narwal scored with a two-point raid in the 30th minute as Patna Pirates trailed 23-32. Ajay Thakur scored with a two-point raid in the 31st minute to give Tamil Thalaivas 34-23. Patna Pirates inflicted an all out in the 33rd minute to trail 27-34. Patna Pirates made a fight out of the game as they tried their best to make a comeback. Pardeep Narwal scored raid points and was ably supported by Monu Goyat but they fell short. 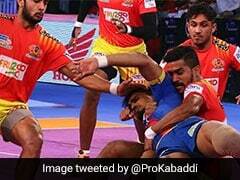 Tamil Thalaivas kept their calm and held their nerve to win 40-37.